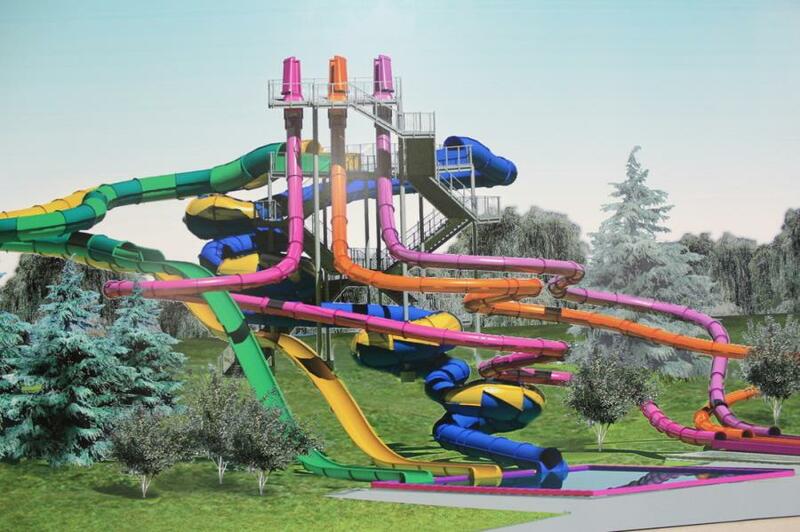 The maker of the "Snake Pit" water slide at Dorney Park and Wildwater Kingdom settled a lawsuit for $2.75 million that was filed by a worker who had an accident while constructing the ride in 2014. Anthony Dos Santos, a construction worker who was critically injured at Dorney Park & Wildwater Kingdom in Allentown, Pa., has settled a lawsuit against the ride's builder in the amount of a $2.75 million settlement. The accident resulted in the loss of the plaintiff's leg. According to court documents, the accident at the amusement park, which occurred on April 23, 2014, involved the transport of a large steel column on a forklift. Dos Santos, age 23 at the time, was holding a tagline used to control the movement of the suspended column and walking in front of and alongside the forklift. When the forklift stopped suddenly, he was pulled in front of the forklift's wheel due to the subsequent movement of the steel beam. The forklift ran over Dos Santos' foot, crushing it. Tyler Tomlinson, the lead plaintiff's attorney from Stark & Stark, said in a statement: "There was a much safer way to transport columns through the park, one that would not have presented hazards. Unfortunately, there also was not a supervisor on-site, as required by the contract, and the crew was understaffed." Following the accident, the victim had a surgical procedure but, unfortunately, postoperative examinations showed progressive necrosis of the foot and toes. He underwent an amputation of his right leg below the knee, followed by a surgical revision to the amputated limb for the purpose of improving the prosthetic fitting. After returning home, Dos Santos had several more infections and had to undergo additional procedures, in addition to suffering from severe phantom limb pain. The accident also took an emotional toll, with a psychologist diagnosing post-traumatic stress disorder with depressed mood, and somatic symptoms, including pain. Now 28 years old and married with children, Dos Santos has been unable to return to work and continues to experience phantom limb pain and chronic back pain. His attorneys Tomlinson, Joseph Cullen Jr. and Ian Abovitz secured the settlement for lost wages, pain and suffering and medical bills. According to court records, Whitewater West had a contract with Cedar Fair that required the builder to have a supervisor on site. Cedar Fair was unaware that Whitewater had hired a third company, KP Construction, to assist in the project. On the day Dos Santos was injured, KP Construction's owner was out of the state and his second-in-command had called in sick, leaving a "skeleton crew" to move the steel column, which court papers described as a dangerous job. Dos Santos' lawyers claimed Whitewater was liable because it did not have a supervisor at Dorney Park to oversee the construction. They noted that no Whitewater employee had been on site for months before Dos Santos was injured. They also pointed to emails that indicated Whitewater was aware that the project would be difficult because of sharp turns and tight corners the equipment would need to negotiate in the park. The suit claimed there were safer ways to move the column, such as a flatbed truck, that Whitewater did not use, the Morning Call reported. Dorney Park's parent company Cedar Fair LP was one of several defendants who were dismissed from Dos Santos' injury lawsuit filed in Lehigh County Court, before Judge Edward Reibman, court records show. The only defendant against whom claims were not dismissed was Whitewater West Industries Ltd., based in Richmond, British Columbia, according to Lehighvalleylive.com.